The United Amigos sponsored bilingual poetry reading drew a diverse crowd to the high school library. United Amigos student leaders Kevin Flores, Patricia Campos, Erlyn Flores and Yoselyn Flores helped coordinate the event. Patricia Campos read daily promotional announcements in English and Spanish over the building’s public address system. 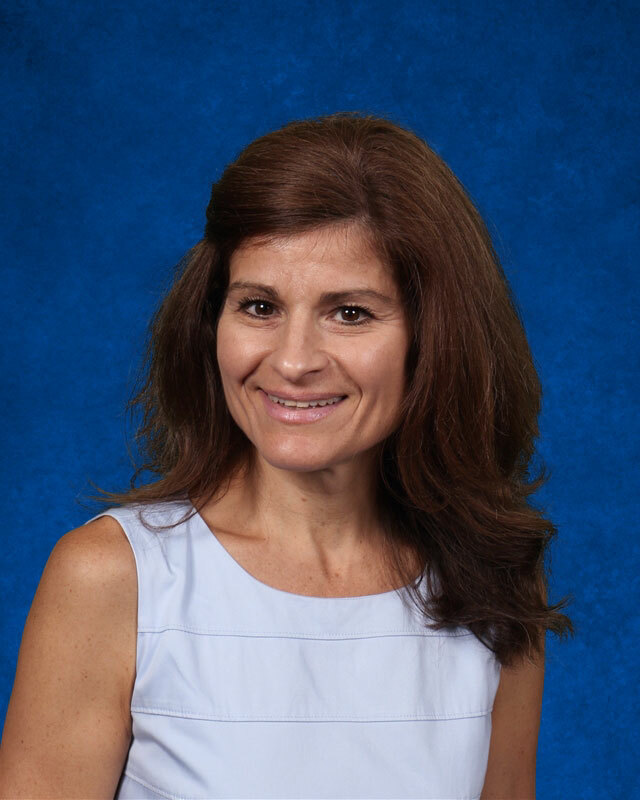 Rosario Lorenzano is the organization’s faculty advisor. Numerous faculty and staff members turned out for the poetry reading and pitched in to make it successful. The audience included Judy Goris-Moroff, district director of world languages, English as a new language and bilingual programs. “Words mean more than what is set down on paper,” poet Maya Angelou wrote. “It takes the human voice to imbue them with the shades of deeper meaning.” Mrs. Connolly cited the quote to welcome students to the poetry reading with the hope that “all present would feel inspired to read and take the podium they did,” she said. After a fast moving hour, the group pushed the library’s tables and chairs back into place. One student asked Mrs. Connolly: “When can we have our next poetry reading?” Plans are already underway to hold bilingual poetry readings next fall and spring. “The readings were a testament to Maya Angelou’s words where these many voices gave everyone a moment to listen and think about these readings and truly enjoy an afternoon of poetry,” Mrs. Connolly said. Poetry reading attendees included Yanira Bonilla, Kevin Chavez, Daniela Weihskopf Escobar, Sara Modaresizadeh (who promised to read in her native Persian language, Farsi, during the next poetry reading), Orfa Granados, Yoselyn Franco, Adilio Mendoza, Diego Salinas, Brenda Acevedo, Emma Grassi, Ariana Strieb, Yaquelin Manzanares, Karen Avila, Brenda Reyes, Daniela Ramos, Brayan Chavez, Jose Guerrero, Jarol Valencia, Ever Salinas, Gilberto Chica, Chelsea Rodriguez, Laura Flores, Sara Modales, Lisseth Loeza-Mendoza and Yaniris Tavarez. 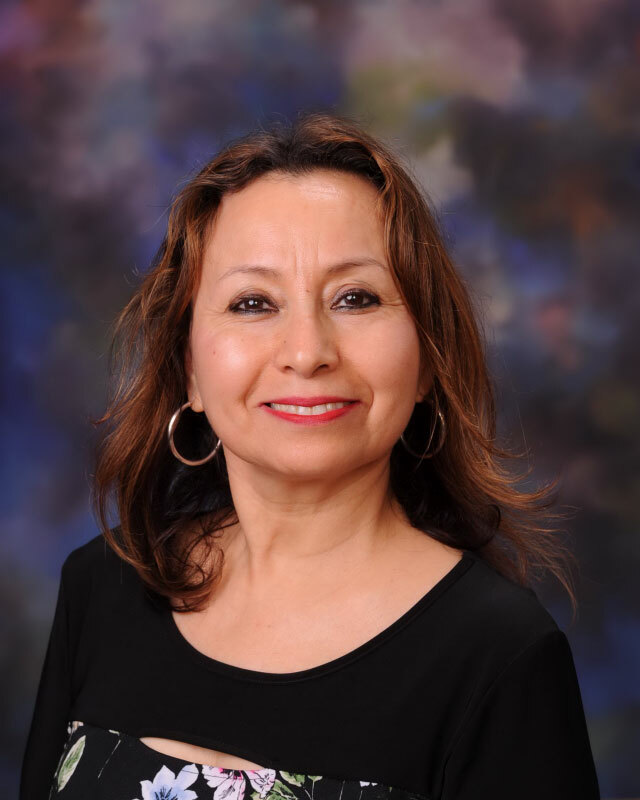 Five years ago, Ms. Lorenzana began gathering students after school who needed tutoring and English language support. Word spread quickly to other students and it became known that the teacher’s classroom was a place not only for science and language review, but other support, including understanding American culture and navigating a big high school. What evolved was a small community that became a second home for many students. Soon the group began to grow. 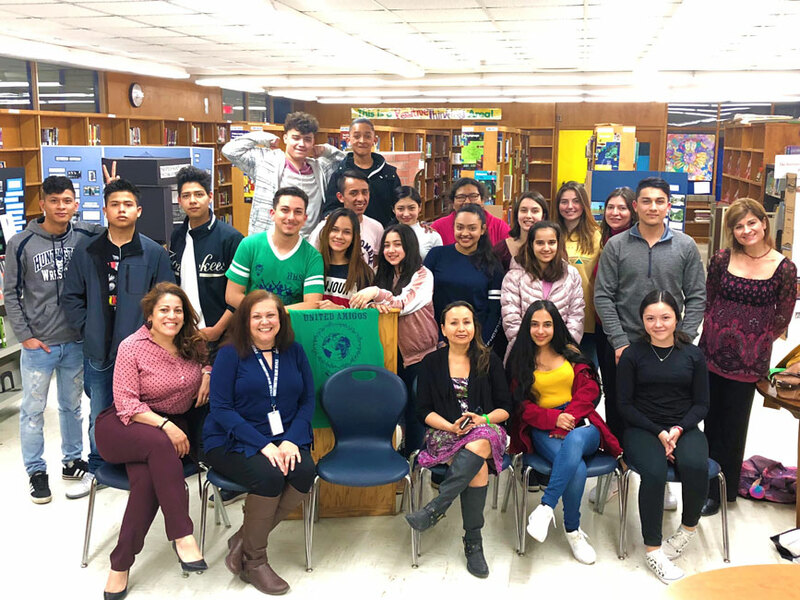 Realizing the needs of the students reached beyond academics and language, Ms. Lorenzana organized the United Amigos club at the high school. United Amigos meets once a week for general academic and language support and to also plan and execute various community service initiatives. Huntington High School teacher Rosario Lorenzana. Huntington High School teacher Teresa Connolly.